Today an award-winning actress and activist turns 86 years young. 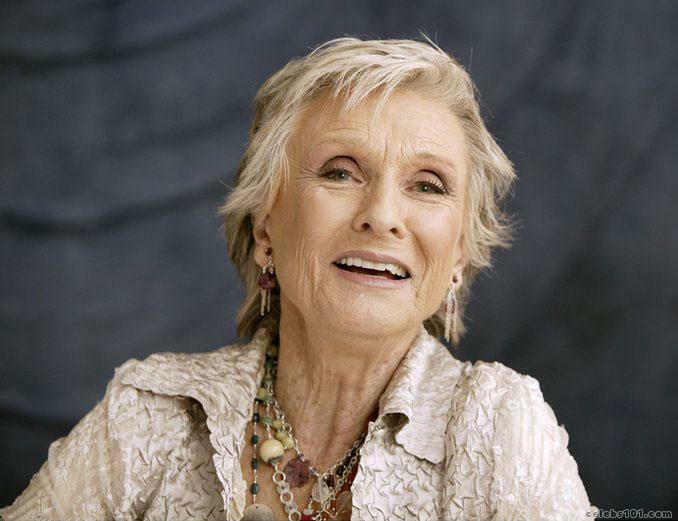 Still going strong and looking great, let’s celebrate Cloris Leachman. Born in Des Moines, IA, she majored in drama at Illinois State University and Northwestern (where she was classmates with Paul Lynde). She launched into early success in pageants, winning Miss Chicago and competing in Miss America 1946. From there she moved into her acting career. Cloris Leachman became best known for her role in the Mary Tyler Moore Show in the early 70s. Appearing in several episodes in the first five seasons as Phyllis Lindstrom, Mary’s nosy and opinionated neighbor and landlady, she was nominated three times for best supporting actress (winning once) and rewarded with her own spin-off series, Phyllis. My very favorite episode features the introduction of Betty White as Sue Ann Nivens, who has an affair with Phyllis’ invisible husband, Lars. (Enjoy this clip of the Lars Affair, featuring my favorite Phyllis speech about The Life of the Bee at 4:15.) In the forty years since, Leachman has had numerous guest and starring roles on TV, including a fantastic run as Ellen’s mother on the short-lived but delightful The Ellen Show. She has amassed a record-setting eight prime-time Emmy awards and one daytime Emmy. No! It was ridiculous. You can’t just have part of your face not moving and the rest moving everywhere. That doesn’t work. Leachman’s honesty, energy, and wit make her an effective champion for many causes. She advocates for women’s rights and LGBT equality as well, including serving as Grand Marshall of the 2010 San Diego Pride Parade. Here’s to Cloris Leachman! Who can guess what the next decade will bring? As the war against women continues, there was a spot of light last week in the Senate. Sixty-eight Senators voted to reauthorize the Violence Against Women Act, defeating the 31 Republican men who voted to take away women’s voices after they have been attacked. One might ask, do these 31 Republican men have no mothers, no sisters, no daughters? What is it with Republicans and women lately? 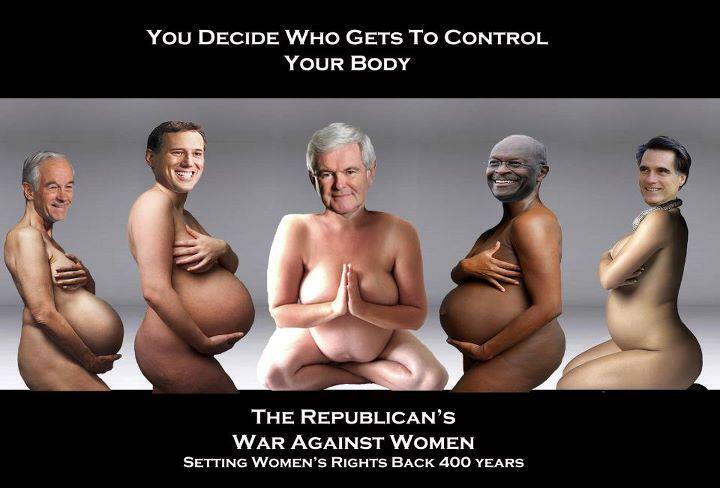 We can only presume they don’t care about women’s health and well being–this includes all of the Republican women who so often suffer from internalized oppression, Sarah Palin et al. This legislation is slated to go to the House next. Sadly, the House GOP is planning on introducing a bill with the same name, but their version of the Violence Against Women Act attempts to strip out the very provisions protecting Native Americans, undocumented immigrants, and LGBT Americans we just fought for. I guess the GOP really has no clue about marginalized populations and the intersections of oppression–to think about such issues one would have to be a civil servant! Note that in nine states (AL, GA, KS, KY, MS, OK, SC, UT, WY) vulnerable populations received no Senate support whatsoever. On the plus side, thanks to the six Republican men in the Senate – Alexander (TN), Coats (IN), Corker (TN), Crapo (ID), McCain (AZ), Portman (OH) – who bucked the trend and did the right thing with this vote. 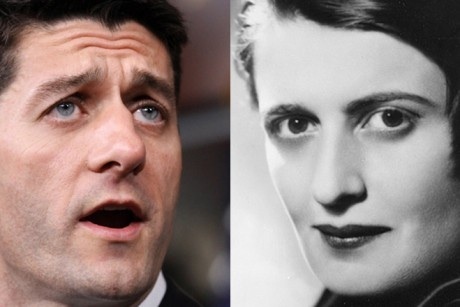 Ayn Rand and Paul Ryan: He Loves Me, He Loves Me Not? I reject her philosophy…It’s an atheist philosophy. It reduces human interactions down to mere contracts and it is antithetical to my worldview. If somebody is going to try to paste a person’s view on epistemology to me, then give me Thomas Aquinas. Don’t give me Ayn Rand. When I first read this on Think Progress I did a double take and assumed this must be an attempt at being like The Onion. I’m afraid that is not the case. Even though he has now dissed his hero, and appears to be going for a more “Godly” approach, we should notice that he has not dissed his budget cuts plan (inspired by his hero Ayn Rand) that would cut important social programs like Medicare and Food Stamps, and give trillions in tax cuts to corporations and the rich – thus shifting more tax burden onto the poor. What I find amusing about all of this is that Rep. Ryan calls Rand’s selfish philosophy an “atheist” philosophy despite noting that as a Christian he followed her philosophy and admitted to getting into politics because of her. Obviously, the “virtue” of selfishness, as Rand referred to it, is not exclusive to atheists, but can be found in any walk of life. The big question is, what is the catalyst for his change of mind? The answer could be videos like this from The American Values Network. The video is clearly designed to clarify, “Look, the GOP are following an ATHEIST! That does not reflect the values they should have as Christians.” Rep. Ryan was even asked recently why he based his budget plan on Rand and not on Biblical principals like sharing and caring for everyone. His bizarre claim that his budget is based on his Catholic faith has been demolished by numerous groups of Catholic leaders and scholars. He has not answered the question or the criticism; this pressure could be another reason why he has lied. I need to thank my friend and social justice activist Eva Hoffman for inspiring me to write this story. The goons at NOM went especially nuts, launching the DUMP Starbucks boycott. In response, LGBT groups launched a thank-you program. Showing how love can outshine hate, the support page has over 640,000 likes and thank you’s; NOM’s program has barely 30,000. 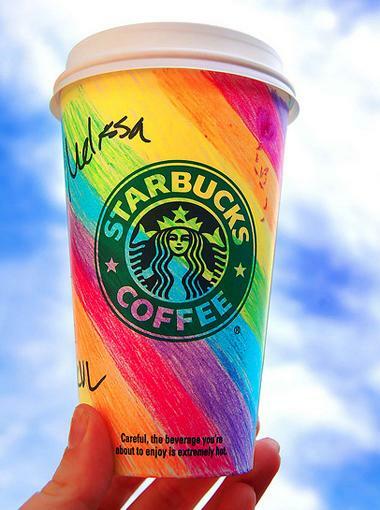 Undeterred, they’ve started an advertising campaign in countries that have Starbucks and have especially bad records for LGBT rights, such as Egypt. Women are the largest untapped reservoir of talent in the world. It is past time for women to take their rightful place, side by side with men, in the rooms where the fates of peoples, where their children’s and grandchildren’s fates, are decided. Proving that one hypocritical, out-of-touch, flip-flopper of a spouse deserves another, professional candidate wife Ann Romney joins her twice-BWA husband in the seat of dishonor. Ever since Mittmatic punted anything having to do with woman stuff to his wife as “the expert on that” she’s been flirting with supreme bigothood. This week she easily tipped the scales. Really?!? She loves the fact that there are people who have no choices in their lives? Even though staying at home and eking out a meager living on her millionaire husband’s stock portfolio was her single most important decision? Given the second half of the quote and its context in her larger speech, it might be tempting to give her credit for a simple gaffe. Her recent history of hypocrisy and attack language, however, makes it clear that the statement was far more Freudian than slip. Two weeks ago, Romney had a dustup with journalist Hilary Rosen, who questioned her right to discuss the challenges faced by women who work outside the home because she “never worked a day in her life.” Cue the outrage. Ann Romney, who has frequently referred to her decision “not to work,” suddenly was a furious stay-at-home mom, reminding us that such a high calling is also hard work and deserves respect. Even though she has also supported her husband’s position that women with children must work outside the home to have the “dignity of work” and avoid raising “indolent” children. Fetch my smelling salts! All this spinning is making me dizzy. Talk about profound white heterosexual privilege! Romney’s money certainly has allowed her not to even think about disparities for women, women of color, sexual orientation, gender identity and all the other intersections of oppression that take away many of the lovely choices she has exercised. It’s really pretty clear what oppressed, hard-working mom Ann Romney is saying: if you’re wealthy enough to really have choices, you should be congratulated for making them. But if you’re part of that pesky 99%, you should just play the hand you’re dealt and quit whining. And she knows, too, because she’s channelling Chaka Khan: she’s every woman. On this date in 1886 a pioneer in American music was born in Columbus, GA. Gertrude Pridgett was a precocious singer, joining a local revue at the age of 14 and joining the touring Rabbit Foot Minstrels within a couple of years. She met William “Pa” Rainey in 1904 and they were soon married. 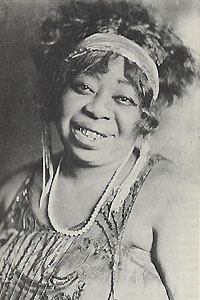 They travelled and performed together and she was billed Madame Gertrude Rainey, eventually shortening it to Ma Rainey to match her song and dance partner’s stage name. They soon began their own travelling show, Rainey and Rainey — Assassinators of the Blues. Rainey had a powerful voice and a deep instinct for the sound of the blues. She blended the styles she encountered (including country blues and gospel) and created a unique blend that has influenced successive generations. She took the road tradition of the bluesman, with music and lyrics steeped in a history of slavery, and adapted it for the stage, creating a new art form. Known as the Mother of the Blues, she was an early influence on blues and jazz great Bessie Smith; poet Langston Hughes also considered her an influence, pointing to the cadence of her performance. Rainey also wrote original songs, somewhat unusual for her generation of interpretive singers. As the blues gained national attention, Rainey was one of the first African-Americans ever to record their singing. (The first known was Mamie Smith in 1920.) In 1923, she signed a contract with Paramount. In the space of six years she made over 100 records for the label, working with rising stars like Louis Armstrong. While recording, she continued to tour with Pa Rainey as well as the Wildcats Jazz Band led by black music pioneer Thomas Dorsey. Travelling throughout the South and Midwest, she performed for both black and white audiences. By the end of the 20s, the blues was falling out of national fashion, so Paramount dropped her. She continued to tour, modifying her show to acknowledge the declining interest in vaudeville and minstrel shows. Her shrewd business sense kept her earnings largely intact, and she bought her own tour bus. When she tired of the road, she returned to Georgia in 1935. Retiring from performing, she bought and operated two theaters in Columbus, living well off the proceeds until her death from a heart attack in 1939. Rainey’s amazing musical sense, great interpretation of blues standards (including the classic formulation of the song See See Rider), songwriting, and fostering of younger talent make her one of the most important singers of the 20th Century. She has been honored with induction into the Blues Hall of Fame (in 1983) and the Rock and Roll Hall of Fame (in 1990 as an “early influence,” quite apt given the debt acknowledged by Janis Joplin, Eric Burdon, Mama Cass, and many others.) For more information on Ma Rainey and her contemporaries in shaping this uniquely American sound, try the aptly titled documentary, Wild Women Don’t Have the Blues. Happy Administrative Professionals’ Week: What’s your tax bracket? 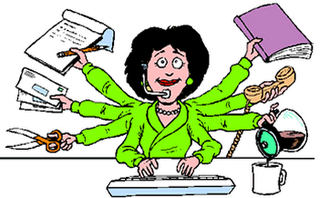 This is Administrative Professionals’ Week. Founded in 1952 as Secretaries’ Day by Mary Barrett, president of the National Secretaries Association (NSA) and C. King Woodbridge, president of Dictaphone, it was initially celebrated in June. Over the past 60 years it has undergone a number of changes in name and timing, but the principle is the same: Honor the workers without whose efforts the bosses and employers work would be impossible. The celebration, now sponsored by the International Association of Administrative Professionals which grew out of the NSA, is particularly timely as the nation focuses on tax fairness. As billionaire investor and philanthropist Warren Buffett has observed, thanks to our bizarre tax codes those making the most money typically pay the lowest tax rates. His example (echoed recently by President Obama), was that his secretary paid a higher rate than he did, something Buffett, Obama and a significant number of wealthy Americans find unacceptable. The inequity is compounded by the fact that women and minorities typically make lower relative wages, even for the same work. Paying a higher tax on that lower wage creates a greater income inequity and results in a vicious cycle of oppression. Of course Republicans in Congress, supported by Presidential Candidate and serial hypocrite Mitt Romney, see nothing wrong with this. Want to see what it looks like for you? Slate has created this handy calculator to show how long it would take Romney to earn your annual income; try it, then use this tool to compare your relative tax rate. If you aren’t outraged, you aren’t paying attention.